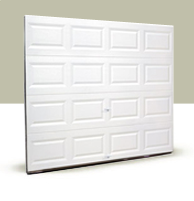 Heavy-duty steel skin combined with a layer of environmentally safe polystyrene insulation provides comfort, energy efficiency and quiet operation, with a total garage door thickness of 2″. 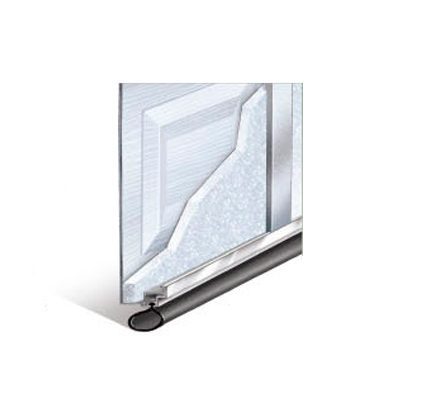 Quality 24 or 25 gauge steel and 2″ thick frame construction for durability and longevity. 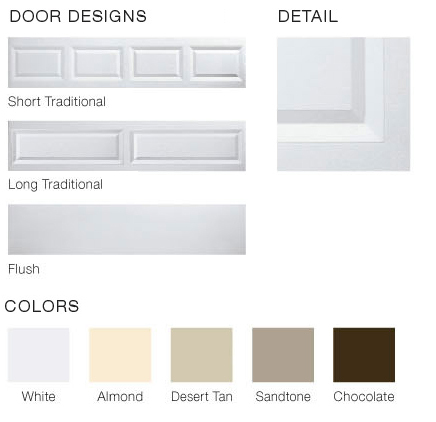 Woodgrain textured raised panel design can be painted to complement home’s exterior.